Paper Masters only produces academic writing. We focus on scholarly work that is of a standard that is in line with any and all major academic institutions such as colleges and universities. Our academic freelance writers also write for scholarly journals and professional publications that require academic research and documentation. 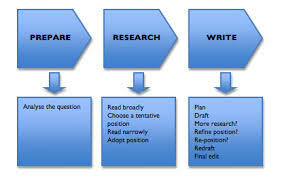 Academic writing, in the purest sense, is meant to be objective and prove a specific thesis. Academic writing is based on the idea of intertextuality, which is the combining of previous works into an original piece of scholarship. Writers of academic works are expected therefore to cite the sources of information so that facts can be verified, results can be duplicated, and charges of plagiarism can be dismissed. Plagiarism is the uncredited use of another’s information. Therefore, academic writing is not merely the creation of new ideas, but offering a new perspective on an already established idea. Much academic writing follows a format known as IMRAD, which stands for Introduction, Method, Results, Analysis and Discussion. For many academic papers, these are the sections of the work. For other, shorter forms of academic writing, the five-paragraph format works well. These research papers consist of an introduction, where the thesis is presented, three body paragraphs in which the claims of the thesis are supported by evidence, and a conclusion. Academic writing is essential in higher education. It not only demonstrates familiarity with a topic, but also shows the writer’s ability to formulate an argument and prove a point. Writing a Balanced Argumentative Essay - A balanced essay is an essay that is clear and contains both sides of an issue. Order a research paper on an argumentative essay from Paper Masters. Essays - Paper Masters' custom essays are the perfect way to learn how to format, write and present a coherent, balanced essay for college. Paper Masters writes custom research papers on Academic Writing and overview the form of writing that is intended to be formal and impersonal in tone, such as a term paper, thesis or a dissertation.